Head of smart mobility discusses a future of artificial intelligence, driverless buses and how to secure the transport network. “What is actually driving our economy is the transport network,” says Huang Shao Fei, Director of Innovation and Smart Mobility at Singapore’s Land Transport Authority (LTA). “That’s why we have to take bold steps,” Huang adds. Below, he tells GovInsider how the island state is exploring plans to predict train disruptions; make every vehicle a traffic sensor; and ways to use artificial intelligence to secure all this infrastructure. 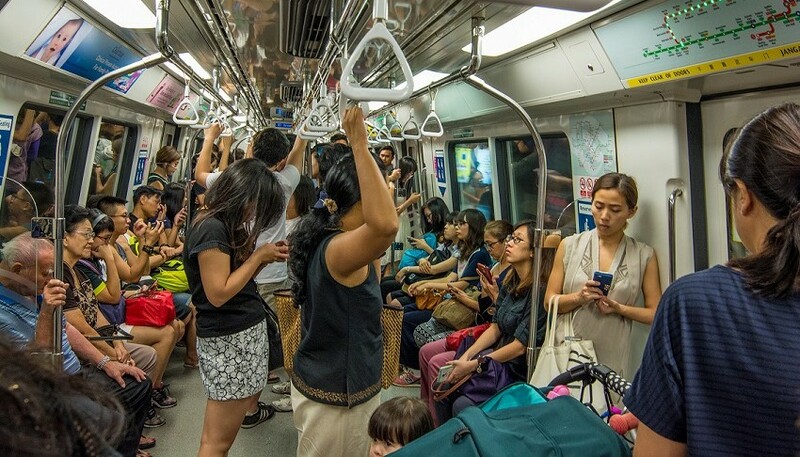 Singapore has experienced a spate of metro train disruptions since 2011, to the chagrin of thousands of commuters. The reality is, “we have a lot of ageing infrastructure” in the public transport network, Huang says. “Truth be told, they are not as reliable as they were when they were just rolled out,” he admits. Drones will be put to work in a trial to inspect rail infrastructure. This work must be done overnight, during the few hours that the trains are not running. LTA will “send these drones into the tunnels and then check for the conditions of the tracks and tunnel walls, instead of sending people in”, he explains. And artificial intelligence is something “we will eventually have to look into”, Huang says. AI will be able to predict if there will be more stress on particular equipment so that train operators can immediately zoom in on those. It would be able to learn from the past, and advise on issues expected in new lines, like the upcoming Thomson-East Coast route. “We will expect that artificial intelligence will be able draw lessons from [the existing] Downtown Line and then we will actually correlate them, extrapolate to the new line,” he explains. Singapore plans to use predictive maintenance on buses too. This “only makes sense”, he says, since the government now owns 6,000 or so buses. “So if the buses break down, the government shares the responsibility to address them,” he says. As a start, each of these buses are now fitted with sensors that feed their location back to officials. “The Singapore government has placed its bets on self-driving technology,” Huang says, and plans to use it in two ways. One is for self-driving public buses on scheduled and fixed routes, with similar capacity to the public buses in use today. This is in early stages, with plans to have two prototypes ready by 2020. The second use is in “driverless pods” for first- and last-mile connectivity. These will be for “citizens with special needs,” Huang says, like the elderly, disabled or families with young children. They will be available on-demand with bookings made via smartphones, much like an Uber or Grab service. But that’s not the whole story. What will make driverless vehicles powerful is that they will all be connected to a new S$556 million satellite-based traffic management system. “Every vehicle will become like a sensor”, transmitting location data back to HQ. “It’s for intelligent transport systems that we are going to fuse the data together with other data sources around public transport,” Huang explains. For instance, bus schedules would be more dynamic, so that operators can add driverless buses to the network when there’s a surge in demand. “You can deploy these buses autonomously to go and carry these people to wherever they need to go,” Huang says. Data from the driverless cars will also help “tune our traffic lights”, he adds. In an emergency, traffic signals would change to create a clear lane for ambulances or fire trucks. Outside of public transport, Singapore is trialling autonomous trucks to transport containers at ports. Other potential areas are autonomous garbage trucks or road-sweeping cars, Huang shares. Singapore will need to ensure that all of the transport data it will collect is safe. With a shortage of security specialists the world over, “we have to find a way to go around this resource crunch”, says Huang, who is also Director of IT Security at LTA. Artificial intelligence could be a solution, he believes, and plans to trial it. It can take years to train cyber security specialists, and with the risks involved in this type of work, you want an experienced and reliable pair of hands, according to Huang. “Over time, any artificial intelligence technology will hopefully be able to build up a corpus of knowledge that represents an experienced person who has been in the system for a long time,” he says. However, current AI technology for security “falls short” of being fully autonomous. “You need to train it to understand the environment, you need to contextualise it,” he says. This is where a human is still required, he believes. The government, however, is “seriously short of engineers”, particularly in rail, Huang says. Hence, Singapore is promoting schemes to attract engineers, data scientists, technologists and security specialists. But it is important that these engineers are allowed to work across agencies, believes Huang, who is himself a mechanical engineer by training. Government officials often tend to narrow down their ideas to their own ministry or agency, he says. Instead, “you want to tear down walls to allow people to have an opportunity to incubate ideas,” he says. This mentality has been shaken up by the Government Technology Agency’s centralisation under the Prime Minister’s Office, he believes. “It’s like a shot in the arm by saying that this whole team of people will come under the Prime Minister’s Office,” he says. This will allow technologists and engineers to work across agencies and ensure that good ideas are given a chance, no matter which agency they come from. With Singapore’s role as a regional transport hub, its own residents along with cities across Asia will be watching its next move.